Appalachian Mountain Club News: Photo Update: More Snow in Crawford Notch! 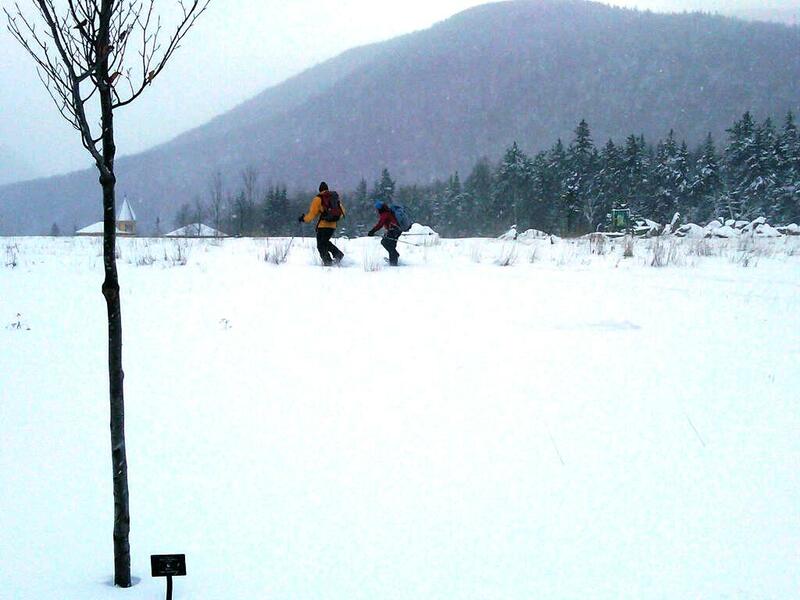 Photo Update: More Snow in Crawford Notch! 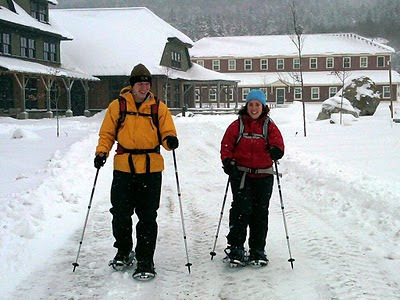 7 inches on the ground at Highland Lodge this morning and it's still coming down! All photos taken earlier today. 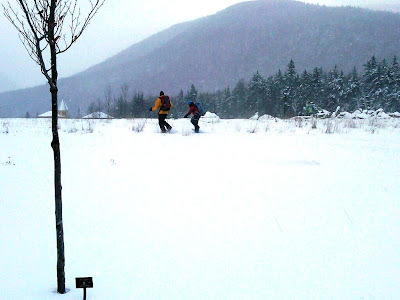 Snowshoers set out from Highland Lodge. Photo by Melissa Tobin. 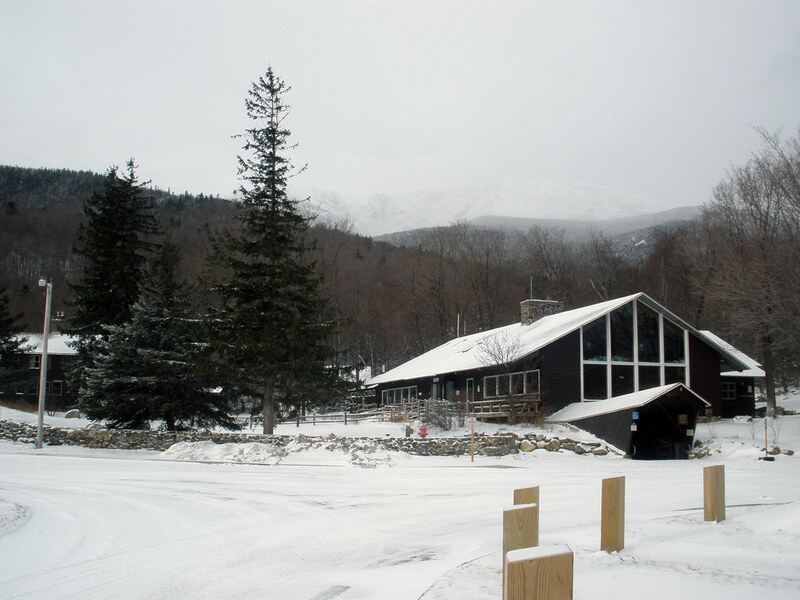 A light coating at Pinkham Notch Visitor Center. Photo by Alex DeLucia.